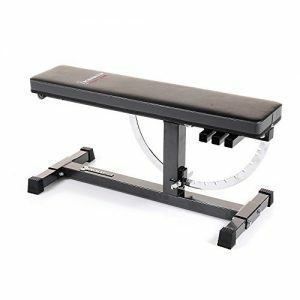 Adjustable weight benches are an important part of your home gym equipment. Having a bench press at home can be a convenient way to save time and money in a gym subscription. You can use them with cages, dumbbells, and various other attachments. We put together the best weight benches in this post to workout at home. Why do You Need a Weight Bench? A weight bench is essential for your home gym because it helps you to perform a variety of exercises, such as back, abs and triceps. The best weight benches are good to maintain a proper form while lifting weight and increase your efficiency. 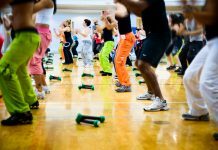 They enable you to focus on hard muscles at different angles to tone your body and get maximum strength. Benches prove useful to build lean muscles in your upper and lower body. Quality: If you want to purchase a bench, make sure to invest in a good quality weight bench. These should be strong enough for stability because the poorly-built benches may wobble quickly. You have to search for heavy-gauge and steel tubing. Make sure to check the specifications of the product to see the weight load and user weight capacities and purchase one that falls within your weight range. Style: Weight benches are divided into two categories, such as benches with racks and utility benches. The utility benches are designed without racks, but some versions are adjustable to use for dumbbell exercises. These benches are not designed for heavy lifters. Benches with special racks are designed for heavy lifters who want to use barbells in weight training. The barbells offer solidity to complex movements and racks are safe than utility benches. The racked benches may be separated or fixed. The separated models are versatile and good to use with dumbbells, such as a squat rack. Used Space: The weight benches available in the market will not take up maximum floor space in the home gym, and you can store them easily in your desired space. Some models are easy to fold to store in smaller size, and you can use more floor space for other important things. Adjustability: An effective workout requires a good weight bench with a good range of back angle adjustments. These will help you to workout with a decline, incline, and flat angle. With extra angles, you can get the advantage of numerous training exercises and target different muscles efficiently. Workout Stations: Some special weight benches offer extra features, such as developer attachments for extensions, leg curls, and preacher pads for forearm and bicep exercises. High pulley stations prove good for triceps pushdowns and lat pulldowns. Special Features: Adjustable five-position back pad, multi-position pad suitable for any workout routine, adjustable-height crutches, pop-pin and quick-release knobs, dual-function leg developer to boost strength of your lower body, high-density foam pad to enhance stability and endure lots of pressure and guarantee heavy lifting, Olympic-weight plate support, Olympic-sized plates and comfortable foam rollers to contour and support your ankles and knees, develop your major muscle groups and tone upper-body muscles. 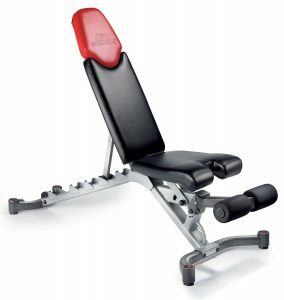 Competitor Olympic CB 729 is a strong bench to increase your comfort and strength. You can get the advantage of incline and leg workout. This bench is durably constructed for great users. The stylish and powder coat finish give an elegant look to this machine. The Competitor Olympic CB 729 offers great value for your money. This upholstery bench is designed from a durable steel frame and can take almost 600 pounds weight. You will feel safe and stable during a workout. The fully-loaded bench helps you to perform muscle development for broad shoulder, stronger legs, and broad exercises for shoulders. Special Features: Deluxe utility durable bench, good for working shoulders, chest, abs, back and more, deluxe upholstery constructed with high-density and top-grade foam, 6-position pad adjusts from flat – incline and decline, adjustable to fit squat racks, Smith machines and half cages, good for workouts, maximum strength and enable you to create a good workout routine. 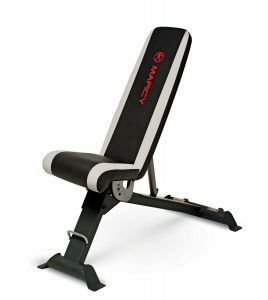 Marcy Adjustable SB670 is a great utility bench for any workout. The back pad is easy to adjust to numerous chest exercises, such as flat, decline, military and incline presses. The tilting seat is great to fit the needs of any users with its three positions. This bench is constructed with powder-coated and durable steel frame with high-density foam. With two-tone upholstery and high-density foam to keep your body secure during workouts. With built-in transport wheels and handle grip will help you to manage its mobility. You can fold bench flat for no-fuss. The dimensions of this machine after assembly are 52 L x 25 W x 46.5 H. It is backed by a 2-year limited warranty of the manufacturer. You can enjoy maximum comfort with its high-density padded foam. This foam will secure your body during the workout and reduce the chances of muscle fatigue. The fully adjustable back pad enables you to perform incline, decline, shoulder and flat presses. This seat is easy to adjust in three positions to satisfy the workout needs of various users. Durable frame design and 14-guage steel offer maximum stability. The powder-coated finish on steel will increase its life. You can easily move it from one place to another with transportation wheels. Special Features: Enable you to transform your space into the personal fitness center, adjustable to 6 different positions, 17-degree decline and 90-degree incline, detachable legs and hold-down brace for decline position, rectify posture and stabilize the position for muscle-building, safe and free-weight workout, one-year warranty for upholstery and a 30-year warranty for frame, 400 lbs. Weight capacity, effective and efficient workout, and adjustable seat. If you are looking for flexible equipment for your home workout and weight training, the Bowflex SelectTech 5.1 can be a good choice for you. The adjustable series of Bowflex benches is designed for commercial and home users. This bench offers six different positions starting at negative 17° decline, horizontal, 30°, 45°and 60° along with full 90°. You can adjust positions while working out as per your needs. Adjustable seat increases your support and comfort level. 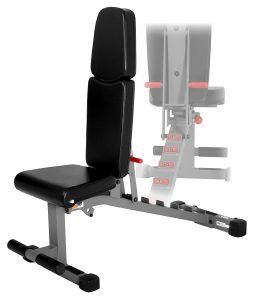 You can enjoy an effective and efficient workout with Bowflex weight bench. With better support, you will be able to get maximum advantage of your workout. The bench offers amazing weight capacity to facilitate most of the weight lifters. The bench measures 56” x 26” x 20” and it may take a bit of space in your house. Its total weight is only 66lbs, and this bench is durable enough to handle the heavy weight. The frame of the bench is constructed of durable steel. The durable upholstery is easy to clean and wipe down after every use. The padded seat will increase support and comfort during a workout. It is easy to pop out in a few seconds with one pin, and you can easily remove it. The bench may need assembling, but it comes with all bolts and nuts as per your needs. It comes with a 30-year warranty for frame and a one-year warranty for upholstery. After assembling this bench, you can keep it anywhere in your house. Special Features: Combination of decline, incline and flat bench for dumbbell and barbell exercises, five starting positions from negative decline 10-degree to positive incline 70-degree, comfortable upholstered pads 1.75-inch and durable powder-coated finish, safety bolts and pins for easy alterations, compatible with curl preacher assembly, three years warranty, 71 pounds weight, portable and compact folding design. For dumbbell and barbell exercises, the Body-Solid Folding Bench can be the right choice. 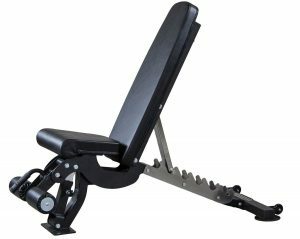 This special piece of equipment allows you to add versatility in your workout with flat, decline and incline bench. This durable and portable bench provides maximum flexibility for resistance training. Once you are finished with your workout, just fold this bench and store it away. 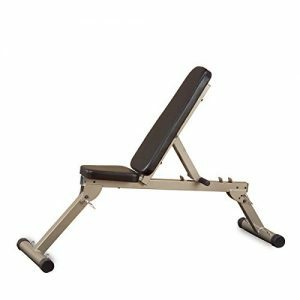 Instead of wasting your time and money in a health club, it will be good to get Body-Solid Folding Bench. These are good to achieve measurable fitness goals. The Body-Solid Folding Bench comes with multiple angles back padded adjustment from flat to nearly 75-degree angle. It is great for a variety of dumbbell and barbell exercises and expert workout. It offers five-degree positions along with 10-degree negative decline and 70-degree positive incline. With bolts and safety pins, you can easily adjust decline or incline. It is foldable and compact to store at your desired space. You can use it in conjunction with preacher accessory. It is easy to start working after taking it out from the box because no assembly is required. It will be a good investment for workout at your house. Special Features: Full size and comfortable utility bench, good to use with resistance tubes, bands and dumbbells, power cage for maximum options, steel construction, designed for home users, seven backrest positions, three seat cushion positions, good for upper and lower body workouts, and comfortably perform core exercises with suitable back support. 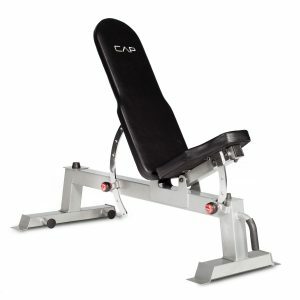 CAP Barbell bench has all important functions and features available in traditional benches along with some additional features. You can use it for your dumbbell training and perform numerous lower and upper body exercises. This bench is great for twists, crunches, and leg lifts. You can incorporate resistance bands and tubes for different exercises programs. You can use power cage that is sold separately to get an ultimate gym experience at home. It is recommended for 500 lbs weight capacities. With three-position pad and chromed adjustment crescent, the seating area offers maximum support and comfort. Along with dumbbells and barbells, you can get the advantage of its anchor posts located at the base of the frame. It helps you to attach a resistance band to enjoy variety in your home workout. This weight bench is great for toning options and the people experiencing rehabilitation and senior users. You can use additional accessories to add versatility in your workout. The main frame of this bench is constructed with 12 – 14 gauge steel for stability and durability. The powder coated steel will protect this bench from oxidation and rust. The bench features oversize pop pins grip to adjust the bench as per your needs. The seat and back cushions are completely covered with leatherette material for extra comfort and support. The bench comes with handles and support wheels to easily move it from place to another. This strong bench offers numerous positions and workout options for weight training. Special Features: Compatible with 6’ to 7’ set bars, 38.5” length between collars, 7-position adjustable backrest, multiple incline, flat, decline, and military positions with one machine, adjustable leg developer with dual-action, foam rollers for leg extension and curl extension, key accessories are available, such as abs crunch, plate adapter, spring clip for legs, curl pad, arm curl, built-in no-pinch design and safety hooks to prevent injury to grip and hand. Body Champ Olympic is a strong Olympic bench for serous lifters. The added attachments are set for the high-density padding preacher crunch and curl handle for everyone to perform ab crunches. The modifiable weight racks are good to accommodate dual duty upright bench press and squat rack. The frames are designed with safety hooks without any pinch feature. The U-shaped leg stabilizer in front offers you added stability and safety during a workout. The high-density backrest can put in the horizontal position and multiple incline and decline positions. Leg developer contains oversized foam pads for comfort and safety. The Olympic adapters help you to use Olympic and standard plates. With Chest presses, leg curls, military presses and leg lifts, you can get the advantage of a unique workout experience in the comfort of your home. You can get walk-in squat capability with the freestanding upright. Durable steel constructions and modifiable backrest offer military, decline, flat and incline position. Special Features: Durable bench to bear almost 1000 pounds, great to use with power rack, cage, dumbbells, minimal gap between back and seat, 17.5 inch high from floor, seven ladder positions from positive include 85 degrees and negative decline 20 degrees, four different seat adjustments, 10-year warranty on frame, and 30 days warranty for pads, roller pads to lock your legs in their place for decline workout, 11.5-inch pad width for shoulders, easy to assemble with available bolts and nuts. 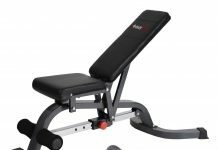 The FID (flat, incline and decline) Rep Fitness bench is excellent for your multiple angle workout. It can be an excellent choice for commercial and home use. The bench has thick and firm pad 2.5 inches wrapped in durable vinyl for maximum support and comfort. The stable ladder made of steel has seven positions from 85 degrees down to 20 degrees decline, and the seat has numerous adjustment angles to offer more support with changes in back angle. It can be used as an incline and decline bench. Innovative features of Rep Adjustable Bench prevent flaking and chipping of paint from metal-on-metal contact. The assembly of this bench requires only 15 minutes, and you should place all bolts to their right spot. This bench is great to hit multiple workouts and get more support with padded seat. It can support more than 1000 lbs weight; hence, lots of people can get the advantage of this machine. With vinyl, covered rollers enable you to lock your legs during your decline workout. With vinyl cover, it is easy to clean this machine. The Rep Adjustable Bench provides great support to your shoulders and back during an intense workout. Special Features: Weight capacity is 1500lb, seven ladder adjustments for back from decline – upright military positions, 3-position ergonomic adjustable seat, 11 gauge steel mainframe 2×3-inch construction with scratch resistant powder coating, easy to decline, flat and incline for workouts, ultra-thick Duracraft 3” cushions, seven ladder adjustments, hold down foot bar, integrated transport wheels, and ideal for in-home use. 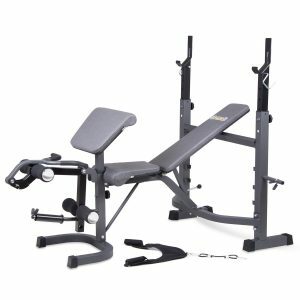 Xmark XM-7630 Bench features 1500 lb. Weight capacity along with FID capabilities, durability and comfort. From decline – military presses, this bench offers seven position back pad coupled with three positions ergonomically designed seat. You can get the advantage of duracraft padding covered in the tear and sweat resistant vinyl and a hold down bar for your foot. With Xmark XM-7630 Bench, you can train harder and longer without any inconvenience. You can start your fitness program or weight training for muscle and strength gains. You can efficiently perform dumbbell press, shoulder press, dumbbell flys, Arnold presses, bicep curls, sit-ups, later raises, hammer curls (seated), pullovers, and dumbbell rows. The frame is constructed with double stitched Duraguard vinyl and seat cushions to avoid any stress on your back. The seat of this bench is designed to increase your productivity and decrease your fatigue and discomfort. The Xmark XM-7630 Bench has an attached bar at the base to hold down your foot securely. You have to hook your feet on this bar to keep your body stable while lifting weights. The built-in transport wheels will make it easy for you to carry this machine from one place to another. You have to assemble this machine with the help of some handy tools available with the benches. You will get the advantage of the in-home lifetime warranty. 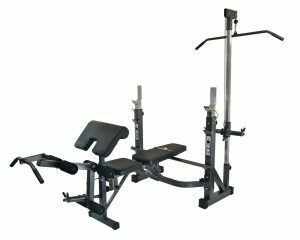 Special Features: Fully Olympic-size bench with flat, decline and incline bench positions, available with lat tower, leg lift, and curl preacher attachments, integrated squat rack in the back, three Olympic weight plate spring clips and adapters, 1-year frame warranty and 88x83x60 inch dimensions. Phoenix Power Pro Olympic is a versatile workout station for home. It features one lat tower on the device and offers a stable bench platform. This full-sized workout bench supports fixed, incline and decline positions. It comes with preacher curl, lat tower, and leg extension attachments. With its built-in squat rack, you can enjoy safe squatting. The bench features three weight plate spring clips and Olympic adapters. The uprights of this bench are 42 inches apart. 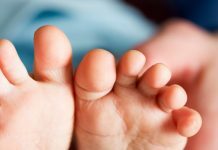 It is designed for long life and stability. The frame of this unit comes with one-year warranty. 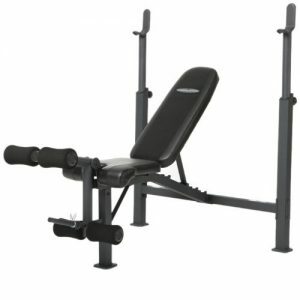 Special Features: Durable 1000lb rated bench, easy to adjust eleven angles from decline – upright, optional attachments to add versatility, perfect for cage, rack, smith machine and dumbbell, bench measures 44” x 10.25” x 21” and three positions incline seat, backrest pad at particular angles, optional attachments like extensions and leg curl, preacher curl bar, chin-up bar, dip bar handles, crunch sit-up attachments. Ironmaster Super Amendable bench is durable enough to manage 1000lb weight. On this bench, you can try a variety of exercise. This bench is great to do inclines and solid workouts. This bench is better than flimsy benches and enables you to perform different types of workouts. This versatile weight bench offers 11 angles to choose from – 0 degree, 5 degrees, 10 degrees, 20 degrees, 30 degrees, 40 degrees, 50 degrees, 60 degrees, 70 degrees, 80 degrees, and 85 degrees. This machine is good for decline bench press, and you can buy different attachments for your favorite workouts. This bench is easy to adjust to different angles, and it has a foot lever to change positions without bending down your back easily. There is no pull out to fiddling pop pins. The seat is detachable and features three heights that can be used during the workout. You can simply slide this seat in your selected position. The seat contains the backrest at different angles to keep it perpendicular to your back and avoid from sliding off while using this incline. The frame is constructed with 11& 12-gauge strong steel and chrome components. The powder-coated steel is free from scratches and rust. The seat cushions and backrest feature durable padding with darned vinyl. The bench measure almost 44” x 10.25” x 21”. You can use Ironmaster with some attachments that you can purchase from the market. 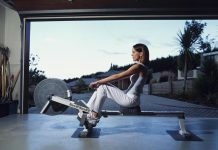 You can get the advantage of lots of workout options. You can use this bench for abs workout or use with dip handle accessories. These are great for knee and leg raises to target your lower abdomen. The bench mostly comes with complete assembly and ready to use. If it is unassembled, you can assemble it quickly with the help of available instructions. 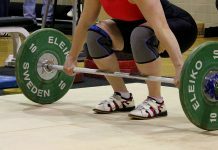 Adjustable and utility benches are good for the preparation of Olympic lifting. These can be the part of your home gym. You should check safety options with racks available for weight trainers for a safety catch. If you want exercising with one bar or heavy weights, you have to opt for safest version. If you want to purchase for a home gym, make sure to check its portability because you have to move it from one place to another. It is essential to check the weight requirements and select top-rated weight benches to get maximum comfort and stability for your body. Regardless of the type of bench, you should consider some weights to increase the intensity of workout. You can use dumbbells with utility benches and rack benches require more equipment, such as weight set and barbell. Make sure to select a compatible barbell and the length of the bar should be wide enough to fit the width of the rack. Warranty is an important feature, and you should check the number of years offered by the manufacturer on the frame and other parts of the bench.